Dayton Metro Library’s popular Sunday Movies @ Main series continues in April with more out-of-the-ordinary films. All films are free and start at 1:30 pm in the Main Library’s Eichelberger Forum, 215 E. Third Street, unless otherwise noted. 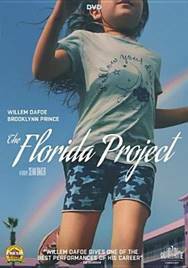 Set on a stretch of highway in a budget motel just outside the imagined utopia of Disney World, The Florida Project follows six-year-old Moonee and her rebellious mother over the course of a single defining summer. Willem Dafoe was nominated for an Oscar, a Golden Globe and a BAFTA for his performance as hotel manager Bobby. Nominated for Best Director and Best Feature at the Film Independent Spirit Awards. Official Selection at the Cannes Film Festival. This ripe, colorful adaptation of Patricia Highsmith’s vicious novel The Talented Mr. Ripley, directed by the versatile Rene Clement, stars Alain Delon as Tom Ripley, a duplicitous American charmer in Rome on a mission to bring his privileged, devil-may-care acquaintance Philippe Greenleaf back to the United States. What initially seems a carefree tale of friendship soon morphs into a thrilling saga of seduction, identity theft, and murder. Featuring gorgeous location photography of coastal Italy. In French with English subtitles. 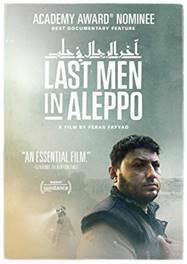 A 2018 Academy Award nominee for Best Documentary Feature, Syrian filmmaker Feras Fayyad’s breathtaking work – a searing example of boots-on-the-ground reportage – follows the efforts of the internationally recognized White Helmets; ordinary citizens who are the first to rush toward military strikes in the hope of saving lives. Winner of the Grand Jury Prize for World Cinema-Documentary at the Sundance Film Festival. “This heartbreaking yet inspiring film is the best and worst of humanity all in one story.” – Colin Covert, Minneapolis Star Tribune. For more information, visit DaytonMetroLibrary.org or call (937) 463-2665.